This will create an image file called floppy.fdd on your Mac's Desktop. 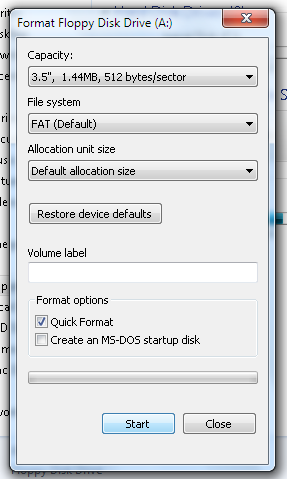 Open your Windows virtual machine's Configuration -> Hardware -> Floppy Disk. From the "Source" drop-down menu select "Choose an image file..."
The floppy disk image will be mounted to Windows as a Floppy disk. 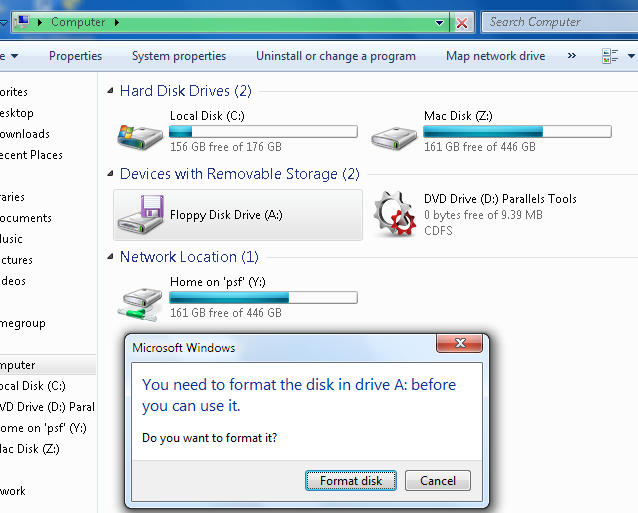 Open the Floppy Disk Drive (A:) in Windows Explorer and format the disk. Your floppy disk image is ready to use!